Diane Schmidt, owner of Diane’s Riding Place, was born into a family whose life revolved around horses. 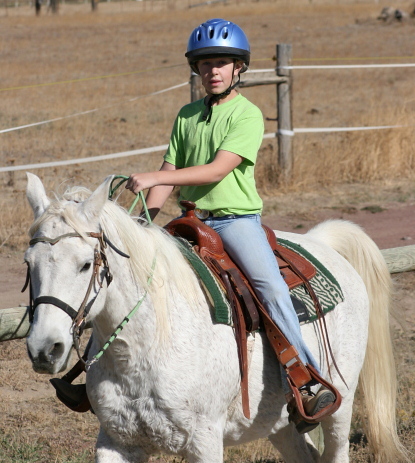 She began riding before she could walk and was competing in horse shows by the age of three. Her Mom, Vicki Schmidt, taught and encouraged her as she was growing up. To this day, she is still her mentor and confidante. It was Vicki who first exposed Diane to teaching, when she asked her to help with some adult riding classes she was presenting in Portland. Soon, Diane expanded to children’s classes and she realized that sharing her love of horses with all ages would become her life’s work. 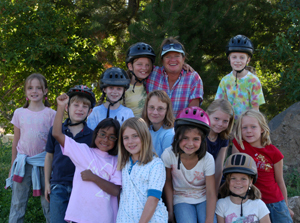 In the fall of 1997, Diane moved to Bend to accept a position as a trainer and a riding instructor in the Tumalo area. During the next few years, Vicki began encouraging Diane to dream about establishing her own ranch. In 2001, Vicki found the perfect location and helped Diane secure twenty beautiful acres which became Diane’s Riding Place.